For the academic year 2018/19, the Freiburg Institute for Advanced Studies (FRIAS) is awarding fellowships as well as funding for project groups and junior researcher conferences within the context of three programs. 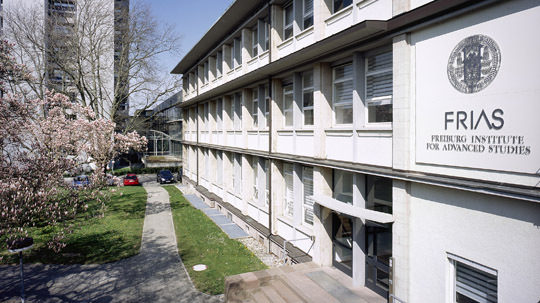 The programs are geared toward outstanding early-stage researchers as well as established professors from all fields of study represented at the University of Freiburg. For professors, FRIAS is offering up to four ten-month Senior Fellowships for the period 1 October 2018 to 31 July 2019. The fellowship is worth 24,000 euros; in addition, the fellows receive an allowance of 3000 euros for material expenses. The fellowship comes with a 50% reduction in teaching load. This reduction may be concentrated in one of the two fellowship semesters. It is also possible to combine the fellowship with a semester of research leave to free up an entire year to conduct research without teaching duties. The application deadline is 31 October 2017. For early-stage researchers, FRIAS is offering up to five Junior Fellowships. They include a release from teaching duties and run for a period of ten months from 1 October 2018 until 31 July 2019. Teaching substitutes are arranged with the relevant faculty and department and are supported with 16,000 euros in funding for junior fellows. Junior professors receive teaching substitutes under slightly different conditions. In addition, the fellowship comes with 5000 euros to cover material expenses. Applicants must receive approval from their supervisors. The application deadline is 31 October 2017. Another funding format for researchers of all disciplines is FRIAS Junior Researcher Conferences, which may take place between September 2018 and April 2019. Doctoral candidates, postdoctoral researchers, mid-level faculty members on temporary contracts, and junior professors of all disciplines are welcome to apply. Up to five conferences can receive a maximum of 8000 euros in funding. The application deadline is 31 October 2017. Finally, FRIAS will also support up to three project groups from a University of Freiburg research field in the academic year 2018/19. This format is designed to support specialized joint research projects at an early stage. The funding period may range from 12 to 15 months between 1 October 2018 and 31 December 2019. Teams of three to six researchers each – at least two of whom should be full-time University of Freiburg professors – are invited to apply. Each project group receives 20,000 euros in funding and organizational support. The application deadline is 31 October 2017.